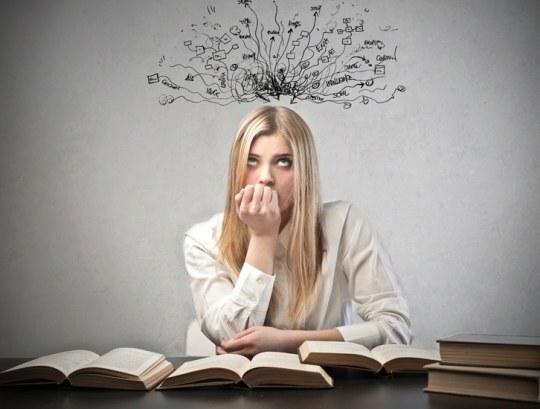 Exam preparation – nervous and very time-consuming process. For those who don't like public speaking, an oral exam may seem hell. It requires not only the ability to Express their thoughts and confidence, but also solid knowledge and broad Outlook of the student. Keep in mind that the time for second thoughts during the oral exam you will not, therefore, all the questions you need to know train. Start studying with a list of questions. To work with tickets. Someone prefer to first learn the material more difficult, and someone easier to learn everything in order. If the knowledge is small, start to prepare in advance and learn 5-7 questions per day. A large amount of information to learn is very difficult. If you have visited almost all the lectures, mark and number the questions in the outline with colored marker. So it will be easier to navigate. To clarify unclear or missed the question on the Internet, time to search for information in the additional literature is better not to spend. If you boast a complete synopsis you can't prepare your material in electronic form. Train yourself to answer the tickets in front of a mirror or loved ones. If you wish, you can even tell material cat or dog. The important thing is that you speak all this out loud and you will be on the exam. Also, for a better assimilation of information try speaking fees during the reading. Be sure to take breaks, don't sit at home all day. Allow yourself to walk for half an hour or relax and listen to the music. Repeat the passed material before going to sleep. Information obtained during sleep and waking, is remembered much better. If you need to remember some event or definition, try to reduce all the information to what you already know. Instead of cramming try to understand, then you will be able to tell you material in your own words. In addition, you can write the question the phrase is the key that will contain the main points of the lecture. It should be understandable and easy to remember, then remembering her, you remember all the material. Before the exam don't stay up too late, sleep, and repeat questions. Do not take sedatives, they can cause drowsiness and reduce concentration. Take time for Breakfast, even if you do not want to eat at least something light. Food the body needs to replenish energy reserves. Don't be afraid to take that first, brave students, the teachers can raise the rating by one point. It is better to "shoot" and be free than sit in waiting for their turn to worry. Very often, the experiences students start to forget the material and this is even more panic. In the exam take a ticket that "looks" at you. It is not necessary to think and expect a winning ticket. In the preparation do not be lazy to write short notes, this will help you quickly "absorb" information.